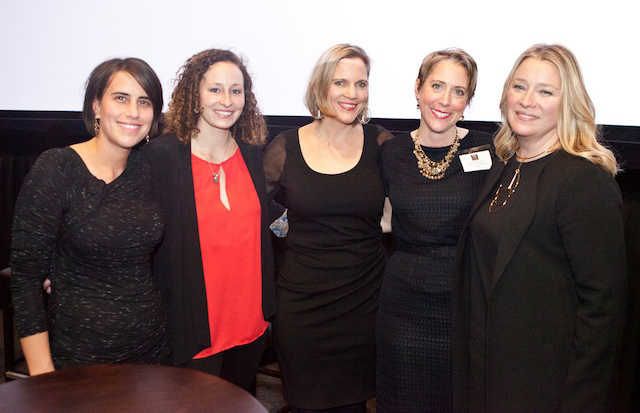 Women in Film Chicago is a advocacy group representing women in media, providing a voice for their membership in the show business environs of the Windy City. Their next event is a Women’s History month spotlight with a short film program called “Movies Made by Women Filmmakers,” which will take place on Tuesday, March 8th, 2016. Click here for more details. HollywoodChicago.com was at the Focus Awards, and got the opportunity to briefly speak to three of the honorees. The fourth recipient, Megan Mercier, was interviewed before the event, and you can read that talk by clicking here. Kris Swanberg is an advocate of public education (having taught in the Chicago system), an advocate for tolerance (her short films and feature film “Unexpected” features empathetic diversity) and a successful writer and film director. She and her husband Joe are the “it” film couple in Chicago. HollywoodChicago.com: In the Q&A after the awards you spoke briefly about the subject of racism, and I believe your films have always been a bridge to understanding the differences between the races in America. What has been your reaction to the headlines regarding race matters in the last couple of years? Kris Swanberg: I react like everyone else, it’s very distressing and disheartening. It’s nice to see the rallying that occurred afterward, but we’re still not rallying enough. What I said in the Q&A I believe is true, that many people don’t see racism as an issue anymore – we may not have physical lynchings, but there are still metaphoric lynchings in public. In a way, what has happened in the last couple years has created a feeling of ‘yeah, this is still happening.’ It’s at least bringing attention to the fact that it is still a very big deal in society. HollywoodChicago.com: How has gaining some mainstream success in the film industry made your life different? Has it put more pressure on you and Joe? Swanberg: I have to say it’s made our lives easier. [laughs] It’s nice to have the opportunities associated with it, and of course these types of recognitions. HollywoodChicago.com: How does it feel to be honored both by this organization, and its local roots in Chicago? Swanberg: It’s awesome, I cannot tell you how often I talk about how cool Chicago is. I talk about it a lot, because people don’t understand why I live here. [laughs] I think some people thought I lived here because I couldn’t live in Los Angeles, like I couldn’t afford it or something. With our success, again, people don’t understand why we stay here, but eventually it becomes clear to them that we stay here on purpose, because we love it. The Women in Film Focus Awards was amazing just in the sense to hear the other women speak about their experiences. So cool! Ms. Batthany is ECD at DDB Chicago with over 20 years of experiences in the advertising business. In 2015, she was named one of Business Insider’s 30 Most Creative Women in Advertising. HollywoodChicago.com: The TV show ‘Mad Men’ just ended its run, which portrayed women moving up in that world during the 1960s. 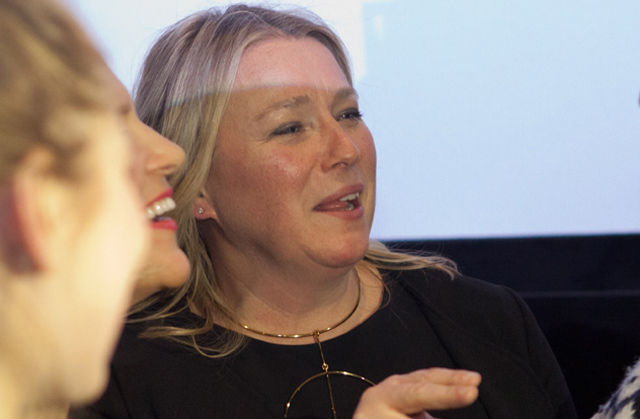 How would you characterize the status of women in advertising in 2016? Jean Batthany: We know right now that many and more women are coming out of ad schools. So at the entry level, we have more women than men. Mid level, there are more women than men. In the creative departments, it’s more men, but getting much closer to balance. The biggest discrepancies are when we get to Senior levels. Often it becomes a decision for women regarding having children, at a point where they could be moving up. If you look at the traditional marriage structures, most of the men creative directors I’ve worked with have stay-at-home wives. If you don’t have that equal partnership, you have to cobble together a support system. If women don’t have that quality in parenting structure or partnership, and they don’t have the culture to be flexible, they go elsewhere where they find it. HollywoodChicago.com: Your title is Executive Creative Director. What would you add to that title, if you were being truthful regarding your responsibilities? Batthany: It could be really long. [laughs] Maybe Executive Creative Director Chief Mother Nurturer Buck Stops Here Convincer Decider? I try to nurture, and try to create an environment that encourages a freedom to fail, because that’s part of creativity. Not everybody is a creative leader, some are there to come up with ideas. The job has gotten more interesting to me as it has evolved. HollywoodChicago.com: You’ve been in Chicago now for four years [after New York City], what does it mean to get recognition both by this organization and their roots in Chicago? Batthany: Chicago is an amazing place, and the community I’ve met has been so supportive, both on a personal and professional level. I came in as an outspoken, no-filter New Yorker, and there is a niceness to Chicago that took me a long time to get used to. [laughs] But my authenticity and approach in an environment where it has been a little bit nicer, has been a great fit for me. I think now they say, ‘it’s okay, she’s not to hurt anybody.’ Bottom line, I’ve found I can breathe here, and have a life. 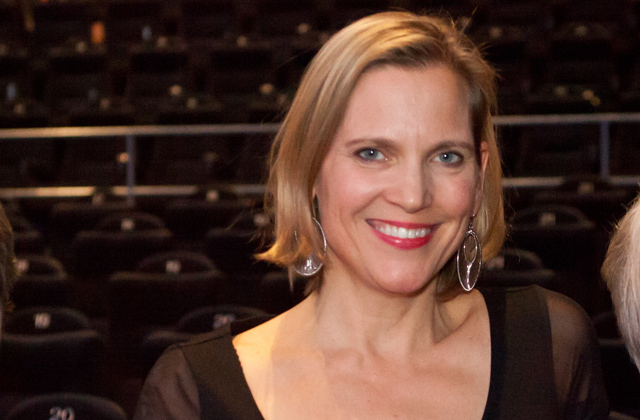 Kathryn Hempel is a veteran post-pro editor, and has seen the transition from film based to digital based production. She currently is a partner and editor at Cutters Studios in Chicago. HollywoodChicago.com: You spoke of the early days of your editing craft in the Q&A, with the cans of film as opposed to the ease of digital today. What advantages and disadvantages have you found in digital editing today? Kathryn Hempel: It’s a blessing and a curse. You can shoot a ton more of footage, and the essential material is in there, but it takes much longer to find it. It may seem faster, but it does take transcoding [converting different audio/video formats]. Transcription in documentaries has actually helped – you can actually find things then with a word search. HollywoodChicago.com: I’ve been asking this of all the honorees. What does it mean to you to be recognized in Chicago, by a peer group such as this? Hempel: It’s a fabulous honor, and I realize we don’t do this type of thing enough in the city. In the advertising industry, it’s about what we did two seconds ago, and there is not enough reverence for the great work that has come before it. I’m not done by a long shot, but getting recognition for a career and hard work is valuable to me. I’m very honored to be that lucky person tonight. 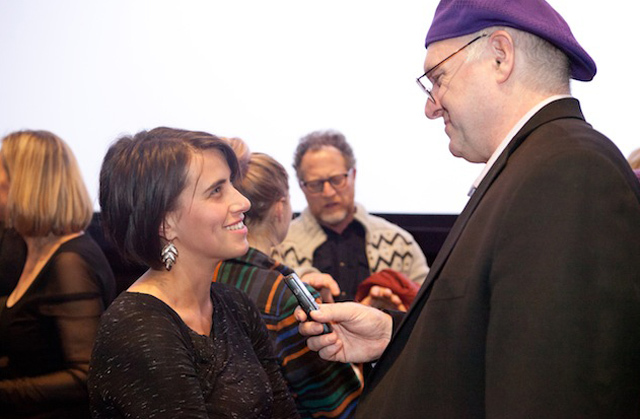 Women in Film Chicago presents “Movies Made by Women Filmmakers,” Tuesday, March 8th, 2016, at Alta at K Station, 555 W. Kinzie Street in Chicago. An RSVP is necessary, click here for more details.